Because butterfly designs can lend themselves to a multitude of beautiful colour combinations, open and closed wing butterfly tattoos are extremely popular, particularly amongst women and girls. They allow for much creativity and experimentation with colour, shape, design and size. 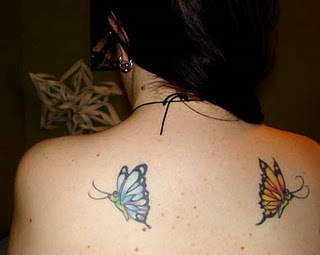 Closed wing butterfly tattoos can be more striking than open winged designs for smaller areas like ankles or arms whereas open winged butterflies are better for larger designs, particularly on the small of the back. Other popular areas for smaller designs are the hip and the front of the shoulder, which is usually visible in light summer attire. Another place that has become popular recently is next to the navel which, once again, due to modern fashion trends, is occasionally revealed. 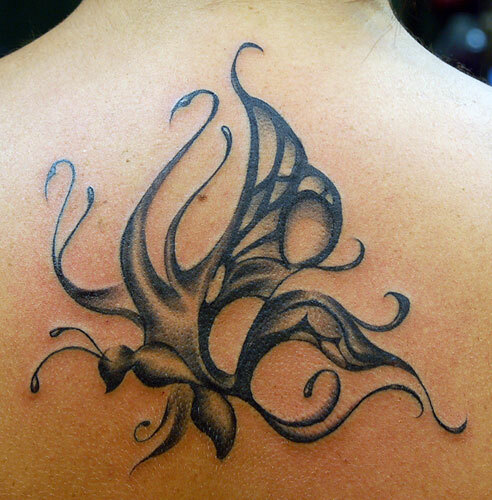 Butterfly tattoos can imitate the real thing or something completely imaginary. They also lend themselves well to incorporation into other designs, particularly flowers, leaves and fairies. Butterflies are rich in cultural and historical symbolism and many meanings have been ascribed to them through the ages from aspects of the soul to longevity and faithfulness in the living. Because the butterfly undergoes metamorphosis from its caterpillar state to the fairy-like creature emerging from the cocoon, the ancient Greeks optimistically believed they were human souls being reborn. Symbolism of renewal and regeneration therefore naturally became associated with butterflies. 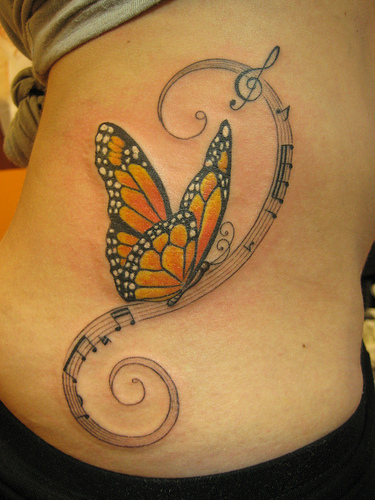 Butterfly tattoos are a popular choice of women who have just had a baby. In China and Japan butterflies were associated with faithfulness in marriage, whilst the Irish saw them as souls of the dead, awaiting safe and gentle transportation to the after-life. Because their ‘rebirth’ takes place in spring and early summer, these light, delicate creatures are always associated with those seasons and spotting the first butterfly of the year is a popular sign that the dark, dreary days of winter have given way to the lightness of spring with all its associations of fertility and growth. Because the life-span of a butterfly is only short, and because of its tendency in life to flit from flower to flower, butterflies are also associated with transience or even intransigence. A woman might choose to wear a butterfly to signify her desire for freedom and independence, but closed wing butterfly tattoos could suggest a more settled state and mind, whilst still connoting the feminine attributes of beauty and delicacy. A gossamer-winged butterfly, one of the lightest creatures of the natural world, perched on the body is like a small, personal blessing from nature. 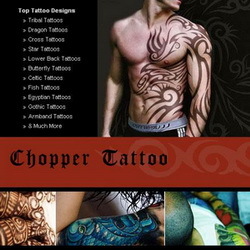 Because tattoos are highly personal, it is up to the wearer to choose what they signify to him or her. The meaning may, like butterflies, even change over time as people grow and develop and begin to think more deeply about the mysteries of life and their own existence. Whatever the reasons for the choice of designs are, both open and closed wing butterfly tattoos are permanent reminders of the way the human imagination has looked to nature to make sense of life and woven stories around its beautiful gifts.